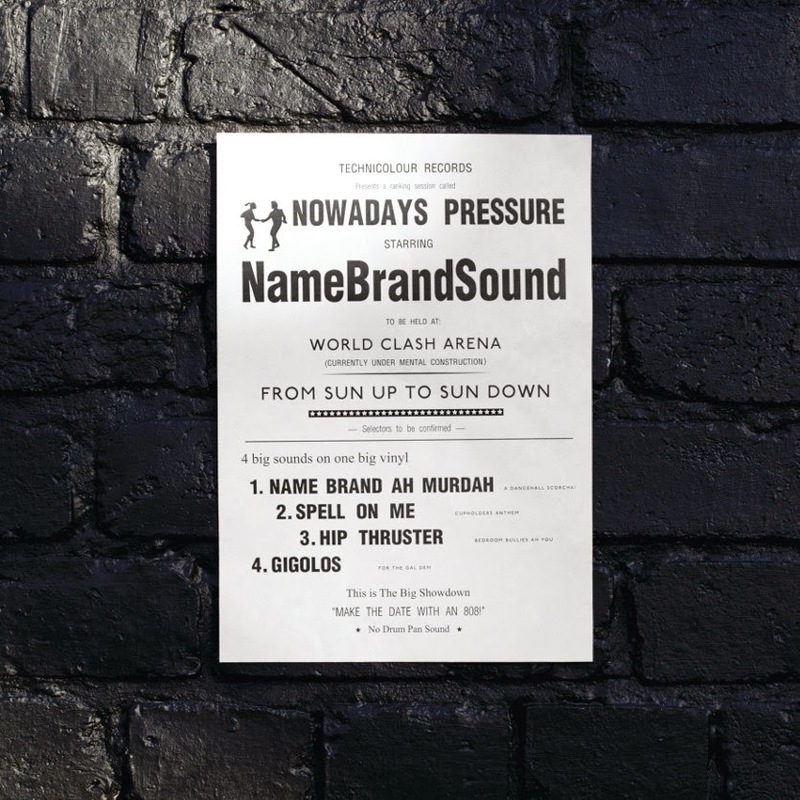 Shadow and Ghost: NameBrandSound "Spell On Me Stream"
NameBrandSound "Spell On Me Stream"
Two of the biggest producers from the London Broken beat movement have joined forces to form NameBrandSound, their first EP "Nowadays Pressure" is released on April 7th 2014 via cult electronic label Ninja Tune. This project sees IG Culture (New Sector Movements/Son Of Scientist/Quango) and Alex Phountzi (Al Da Bubble/Bugz In The Attic) uniting in a mission to invigorate dancefloors worldwide with their own take on modern electronic fusion. This EP is packed with the same wild experimentation that made early releases on labels Main Squeeze (ran by IG) and Archive (home to the classic "Off The Record" by Alex) so desirable and interesting from 1999 onwards. Dancehall clashes with juke, jungle and eighties soul in a blend that would have been perfect for a Sunday night in a crowded Plastic People. Its great to see these artists on form, creating interesting music and upping the BPM. Hopefully the recent resurgence among the Broken Beat pionneers will help to expose the innovative work they achieved fifteen years ago and new listeners can begin to indulge in the back catalogues of these ground breaking artists that never really went away. Christian Prommer "Aturo And Interview"
Teotima Ensemble "Gloves Off And Interview"